RALEIGH, N.C. - June 14, 2016 - PRLog -- There are unfortunately millions of children who suffer physical, emotional and sexual abuse from the hands of their parents in the United States. Very few of them tell their stories in a formal manner, if at all. Too many remain silent for fear of judgment or are simply too traumatized to tell their truth. Dr. Jamila Battle a physician, wife and mother is telling her truth in her new book, from Abuse to Abundance: Reboot Your Soul- Repair Your Heart-Rebirth Into Prosperity. Dr. Battle's book tells the dark story of horrific childhood violence, sexual abuse and torture, she endured by the hands of her biological father. She shares her experiences openly without a filter. 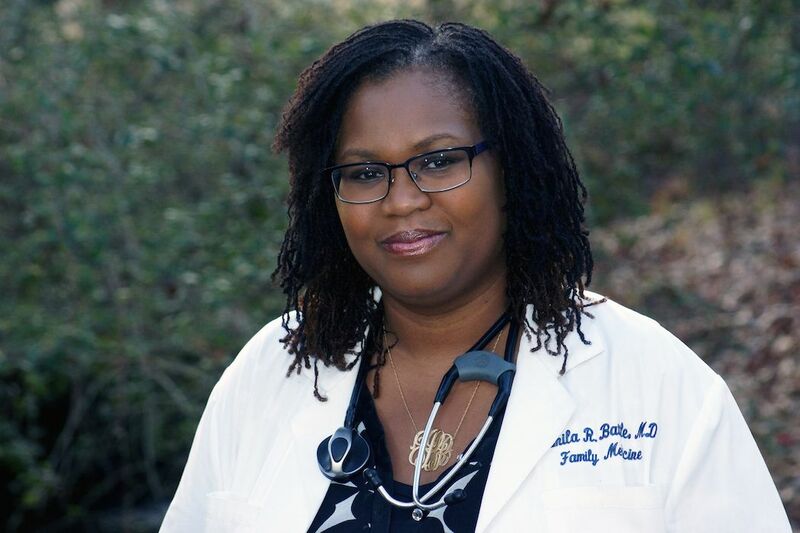 Dr. Battle has received rave reviews by those who have read her story, and many are amazed that someone so accomplished and vibrant experienced such heinous acts. "He brought out a pistol and placed a bullet in it, rotating the barrel and placing it on my head. Click click. No boom boom. In my heightened terror the click of the hammer on the empty chamber was as loud as a gun shot. Excerpt from Abuse to Abundance, by Jamila Battle, MD copyright, all rights reserved. Dr. Battle will have her formal book launch, Saturday, June 25, 2016 at the Wakefield Wine Cellar, 13600 New Falls of Neuse Road, Raleigh, NC 27614. "I am very proud to have reached this point, I am thankful for the loving support of my husband Chris, and children, to have accomplished this monumental goal of completing my book. It's my hope that it will help and inspire many people who have experienced trauma," says Dr. Battle. Special thanks are given to sponsors of the book launch event: Kathy Clark, owner Wakefield Wine Cellar; Courtney Beard; Lesley Day and Sean Fitts of Northwest Mutual; Rick Fleming, Director of Operations of Garner Lighthouse; Grant Fitzgerald, Mako Labs; Dr. Jennifer Le; Ms. Nikesia Lewis; Ms. Shirley Slick; Ms. Deanna Hunt, National Marketing Representative of Nussentials; Thomas Jones Photography, and Dr. & Mrs. Mizelle. from Abuse to Abundance, by Jamila Battle, MD will be sold on Amazon and Kindle. About Jamila Battle MD, is a Board Certified Family, Sleep and Addiction physician. from Abuse to Abundance is her first book. She is committed to teach those bound by trauma how to turn their pain into purpose and live life abundantly. Dr. Battle is the creator of Reboot, Repair, Rebirth tm an online healing and recovery system to help facilitate healing to those traumatized by life-changing events. It is her hope that her audience will experience a Reboot, Repair and Rebirth in their lives. She is a loving wife and mother of 3 children. Visit, http://www.drjbattle.com. Who is Linda Dominique Grosvenor-Holland?